Ice sculpting, live music, speed dating and other events are offered for a diverse crowd coming to downtown. 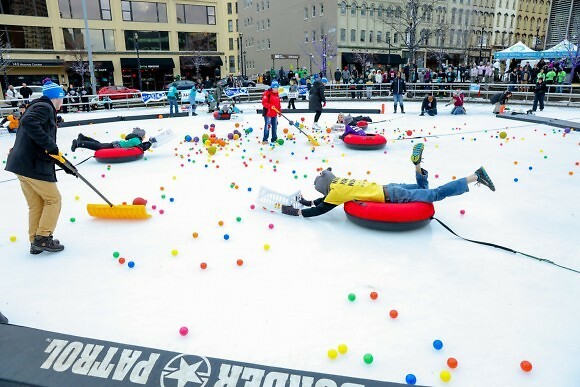 Downtown Grand Rapids Inc. is preparing to put on the first ever “World of Winter” festival, that aims to celebrate the cold climate of Michigan by hosting a slew of winter-based events in downtown Grand Rapids. The eight day long festival, which begins February 9, 2018 will open with a watch party for the opening of the 2018 Winter Games in PyeongChang, South Korea and will close with the celebrating of the 2018 Lunar New Year on February 16. Each day a different winter themed event will be featured, which range from anything between ice skating, ice sculpting, snowshoe demonstrations, snowga (yoga in the snow) and human Hungry Hungry Hippos. The Human Hungry Hungry Hippos game is one of the most popular events featured during the festival, organized by the Grand Rapids sport and social club. Participants hop on inner tubes and slide across the ice with laundry baskets, trying to collect as many plastic balls placed in the center as they can for their team. Director for the Grand Rapids sport and social club, Ace Covey, said the winning team gets a hippo-themed trophy and the real tabletop version of the game. “It's a family friendly activities that's all ages, all inclusive, and we have something for everybody,” Covey said. The communications director for Downtown GR, Jennie Schumacher, said the festival has a beneficial impact on the community by helping local businesses. “We anticipate the additional activities happening downtown will increase foot traffic along sidewalks and will entice visitors to explore, dine and shop downtown,” Schumacher said. She said most of the festival activities are ice-centered, so if the weather is not accommodating, changes or cancellations of events will be announced on the Downtown GR Facebook page. Many businesses and organizations, such as WOOD TV 8, Grand Rapids Art Museum, the Downtown Market and the City of Grand Rapids, are partnering with Downtown GR to help put on the festival. 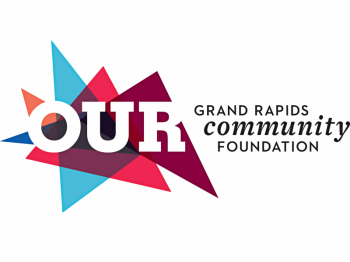 “Bringing more organizations to Downtown to host their events and programming helps make Downtown GR a more welcoming and inclusive corridor, making it a better place for everyone to enjoy,” Schumacher said. She said the “festival of frozen fun” dons the same values of the Olympics, which is to bring those of different cultures together. “The festival is called World of Winter to continue to celebrate the cultural aspects of the event series, sporting events that bring various cultures together at the Olympics, and fully embrace the wide range of opportunities to get out and enjoy the season,” Schumacher said. The full list of events can be found on the DGRI website.